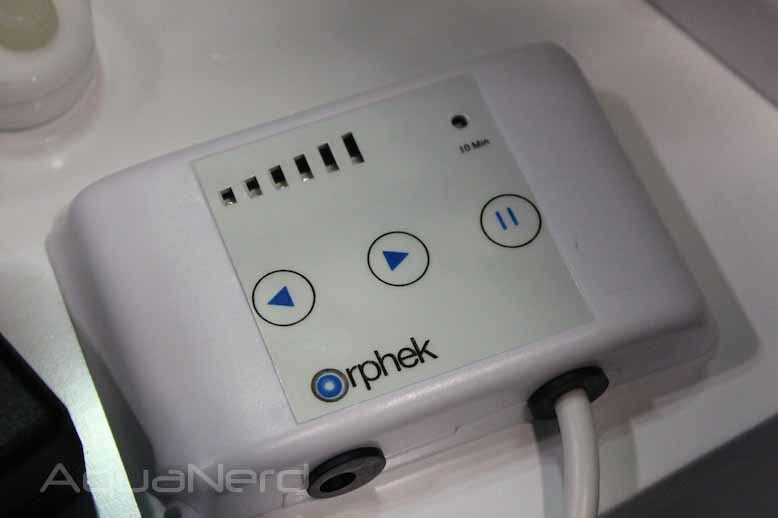 At the last Reef-a-Palooza show in Costa Mesa, California, I had the absolute pleasure of bringing home the recently debuted Orphek Helix 3000 cone skimmer. If you’re anything like me, you get excited when it comes to brand new equipment, and needless to say, I was excited for this one. When you first lay eyes on the Helix, it looks like your typical cone skimmer but with a few subtle yet significant differences. Everything about it is sleek, from the white DC pump to the collection cup cover and everything in between. 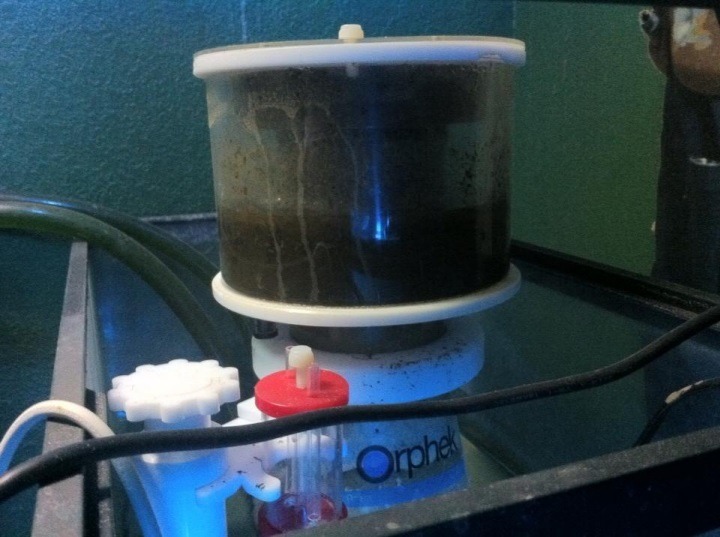 Rated at around 400 gallons, this skimmer has the potential of skimming a wide variety of tanks due to the controllable pump. 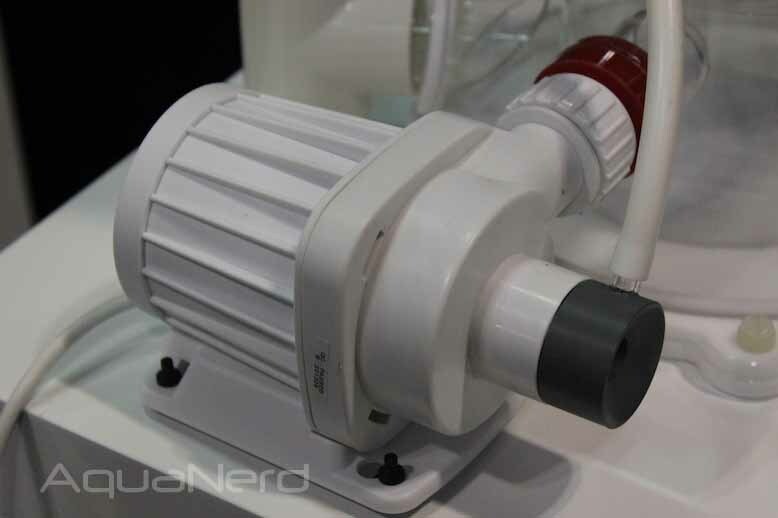 One of first things you see notice on this skimmer is the high RPM controllable DC pump. This 3000 l/h (792gph) needle-wheel pump, at full power, draws 25 watts and has a pause mode with an automatic timer for 10 minutes. The pump basically forces bubble-enriched water through what is called the helix disk, Orphek’s take on the bubble plate. This disk directs the movement of the water in a 360 degree spiral motion up the cone to increase contact time and produce a more efficient skim. Adjusting the Helix 3000 skimmer is typical for a cone skimmer, with the water height valve to adjust the water level and the silencer for air flow; it’s as simple as that. One of the main differences with this skimmer compared to others is the riser tube, which allows water to exit the skimmer. 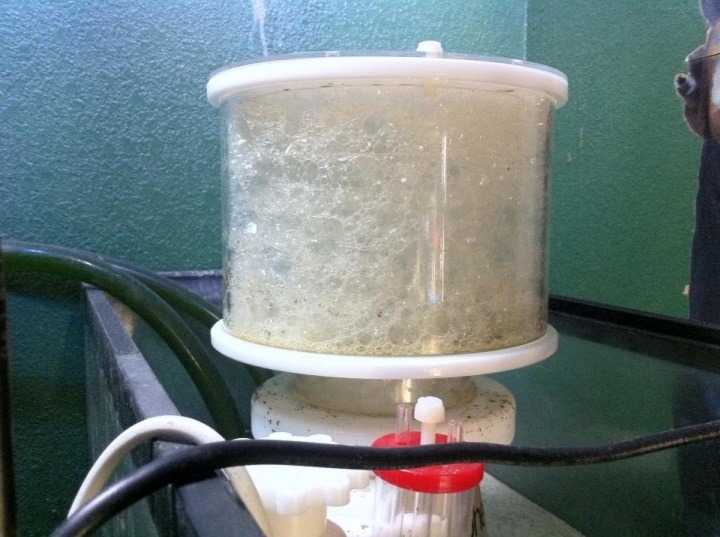 This tube consists of small holes covered by a sponge to reduce any possible waste from escaping and releasing microbubbles into your sump, and we all hate micro-bubbles in our display tanks. 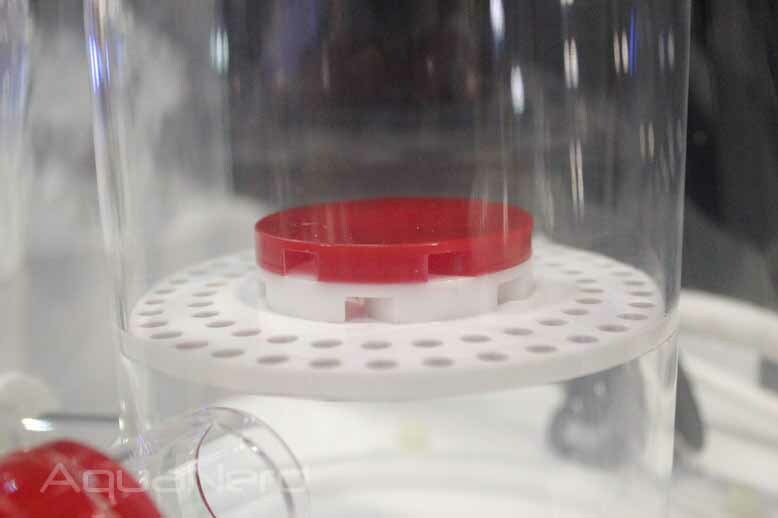 The collection cup is fitted with an O-ring and does not screw or lock into place, and it comes with a port located on the bottom if you choose an external collection container. The collection cup is a very tight fit, so I would highly suggest securing the lid or removing it when cleaning, or use an external collection container. Cleaning is always a dreaded subject when it comes to skimmers. Either your hand can’t go places it needs to, or you have to soak the entire thing in vinegar to get it looking like new again. Well Orphek gave us a helping hand with this one. The skimmer can be broken down into three sections, the main section being the bottom where a lot of detritus and grime collect. The water height valve can be removed for access to the sponge for cleaning, and the skimmer cup can be removed for cleaning as well. Though some may still want to give their skimmers a good vinegar bath, this will surely cut down on your monthly vinegar bill. All in all I am extremely happy with this skimmer, I’ve had it on my 150g system for a few weeks now and it’s pulling dark, thick skimmate and doing what it was made to do. Definitely a better piece of equipment for the hobby.